The real issue that will be decided on the 3rd May is what will happen to London over the next four years. The two likely candidates to become Mayor have both published their manifestos. There is little doubt that Ken Livingstone's manifesto is more comprehensive, more strategic and better suited to all Londoners' needs as the Guardian touches upon here. But the election is sadly devoid of much genuine assessment of how our great city's future could be shaped. Instead Boris Johnson (Con) is running a bleakly negative and personal campaign against the Labour candidate. The Johnson campaign has been put together by Lynton Crosby whose Wikipedia entry says is a "master of the dark political arts". It is designed to depress the Labour vote in an assembly election that is often decided by turnout. This is a dangerous and damaging strategy as all the candidates could chose to do the same. 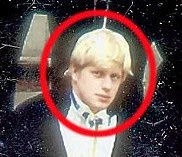 Would Boris Johnson really want more investigation into this Daily Mail exposé which reported how he allegedly tried to use inside contacts to help an old Bullingdon Club friend have a journalist beaten up? HFConwatch details how Boris Johnson has blatantly misled residents and traders about his actions on the Super Sewer and Shepherds Bush Market and done so to the point where he could only have lied. The Shepherds Bush blog nails Boris Johnson on both those deceptions here and here - as does the Guardian on his Super Sewer dishonesty here. Is this and more the type of things that could characterise this election or should the public be given a choice about the differing possibilities for their city's future? I guess last January's Full H&F Council Meeting was instructive on how the Conservatives hoped the Mayoral election would play out. H&F Conservatives put up seven speakers to their rather silly motion attacking Ken Livingstone. However, they inadvertently dammed Boris Johnson by the faint praise demonstrated in their list of his "achievements" - many of which were small or bore no relation to anything he's actually done as you can see on page seven of these minutes. There are eighteen days to go before London decides what its next one thousand, four hundred and sixty-one days will look like. I hope they look like this and think the best way for our democracy to work will be if we chose our governments on their proposals to deal with the issues that matter.